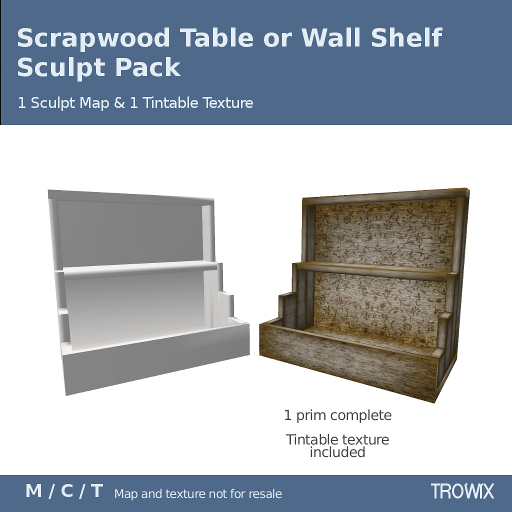 As if crafted from scraps of wood, this shelf / tray is a clever way to add dimension to a table, garden wall and more. 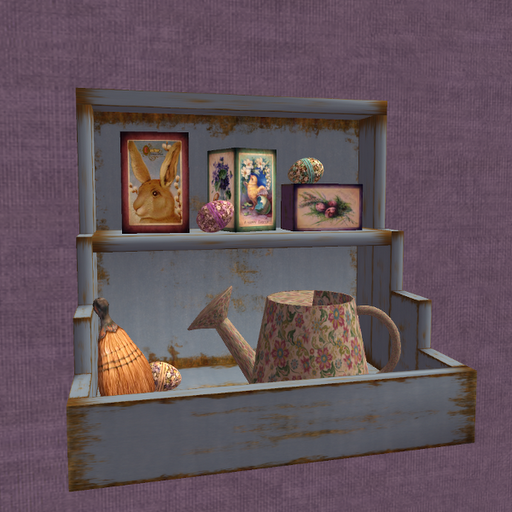 Sit it on the floor or hang it, LOD 2 will keep it looking good and the primitive vine stencil tintable texture will keep it cute. Waiting for you and your imagination at the Trowix Barn. 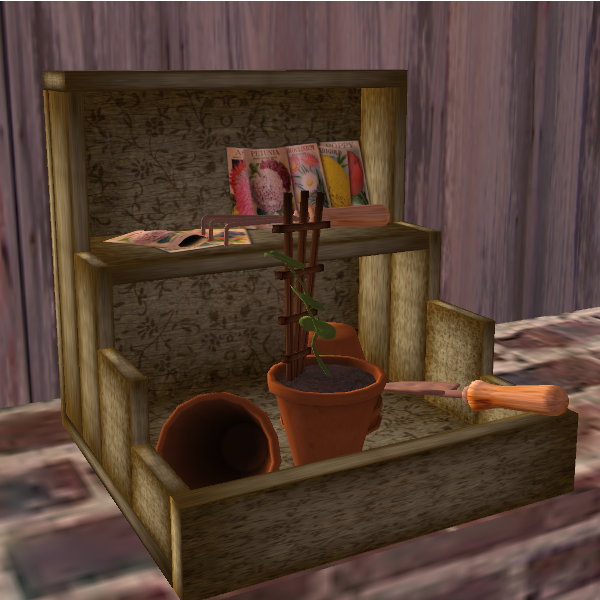 …or you can get free delivery from SL’s Marketplace. Perfect for your Easter baskets! 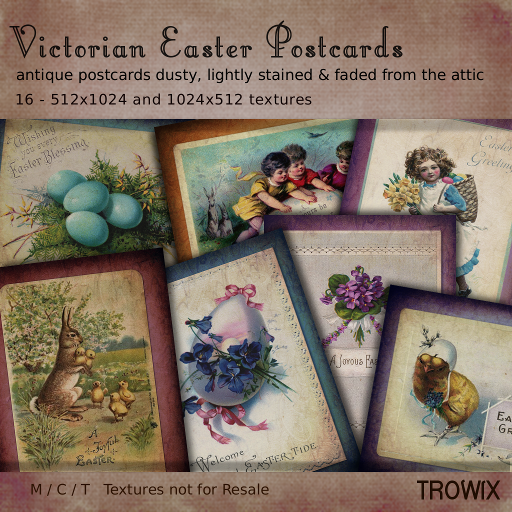 Like time-worn antique treasures, these replicas of Victorian postcard designs are slightly faded and stained for a found-in-the-attic look. 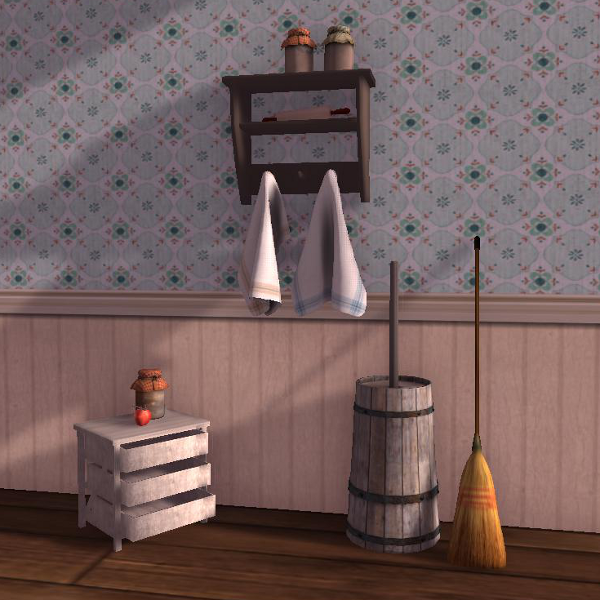 A lovely, quaint and whimsical touch anywhere. Vix loves old postcards, so you get.. old postcards! Postcards ‘n Posies, pretty cute! Hop on over to the Trowix Barn for a little bit of Easter and a lot of goodies! First…an egg. 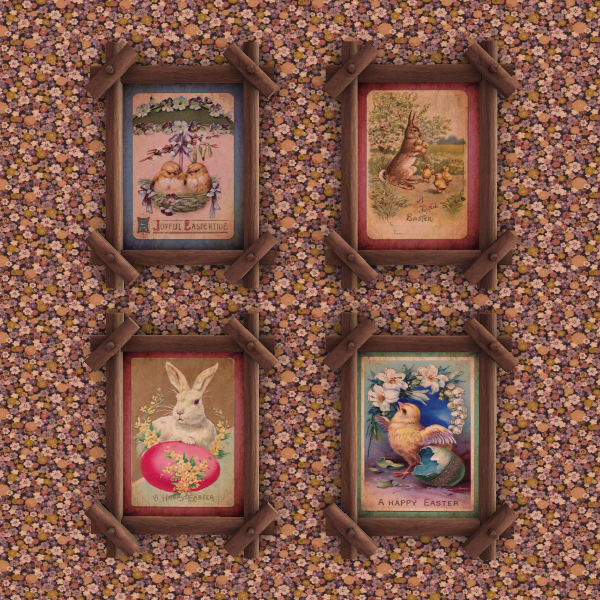 What are Spring and Easter celebrations without eggs? 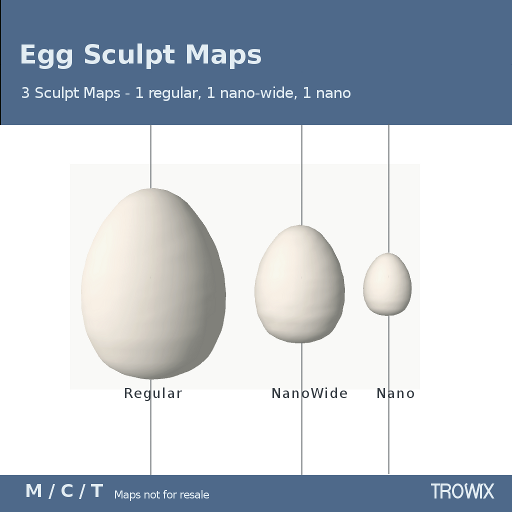 Egg shapes for your eggs-cellent projects – jewelry, decor, birding, Easter holidays and more – in regular and nano and eggs-tra tiny. From ostrich to hummingbird, you’re covered! 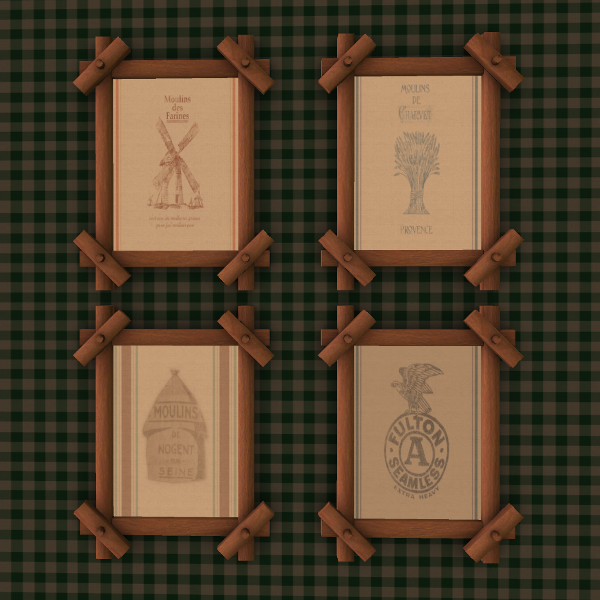 …and these are FREE! You read that right. FREE! 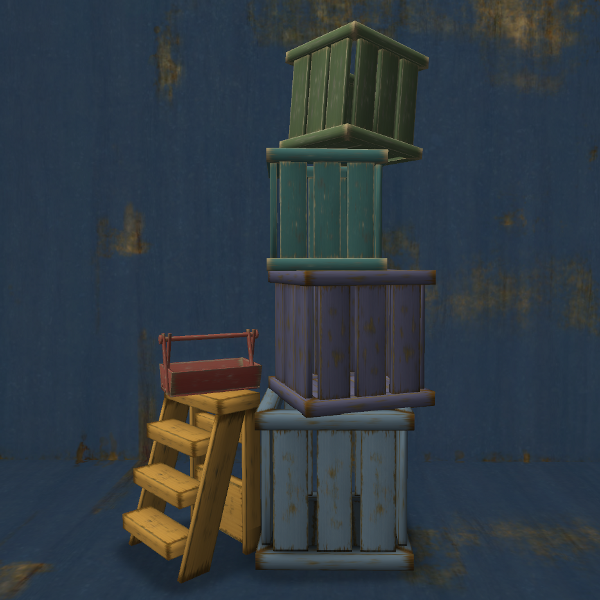 These are a Group Gift and currently in front of the store by the Newest Board. Pretty bright seamless flowers with a vintage look on woven cloth accented by strips of grosgrain ribbon are delightful accents for builds large and small. The Posies are currently on our Midnight Magic board. Yep! Another freebie for a slap. However, you may purchase these if you don’t care to wait. 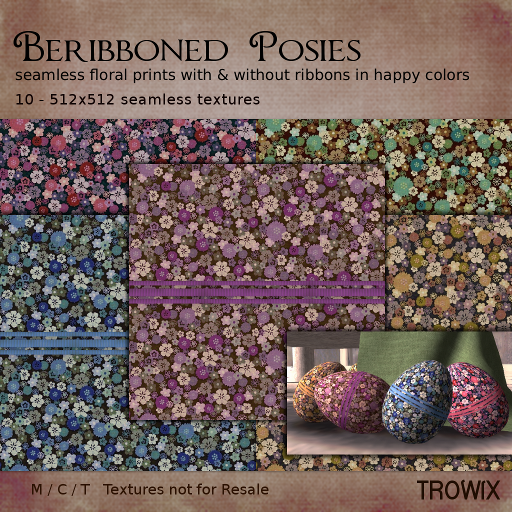 Posies are shown here with the Calico Flowers. 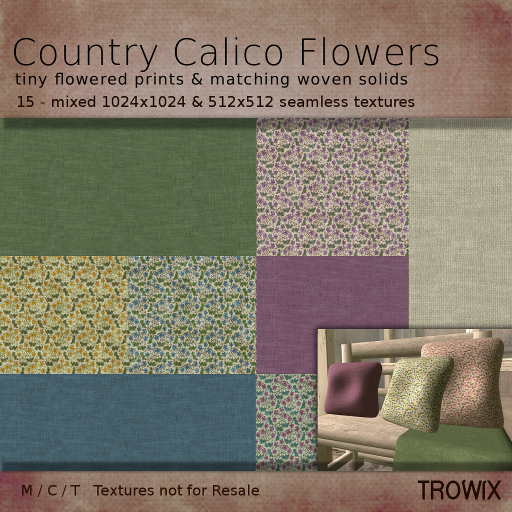 Calico cottons became popular for cothing and homewares in the 1700s and have been popular ever since. Bright flowers on a plain woven background accompanied by solid woven colors to mix and match. You’ll find these in our Lucky Stepstool – free to you when your first initial is called. You may also buy these if you want them right away. Come by the Trowix Barn for some fun and freebies! 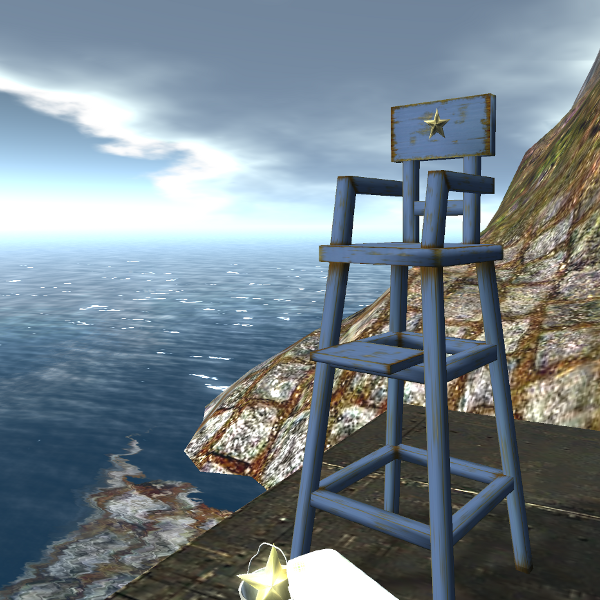 Tall Beach Chair – 1 prim! Design inspired by vintage chairs on park lake beaches. Also suited to any beach, bistro, fishing, camping areas, kitchens and more – at only 1 prim per chair, you can have them everywhere! 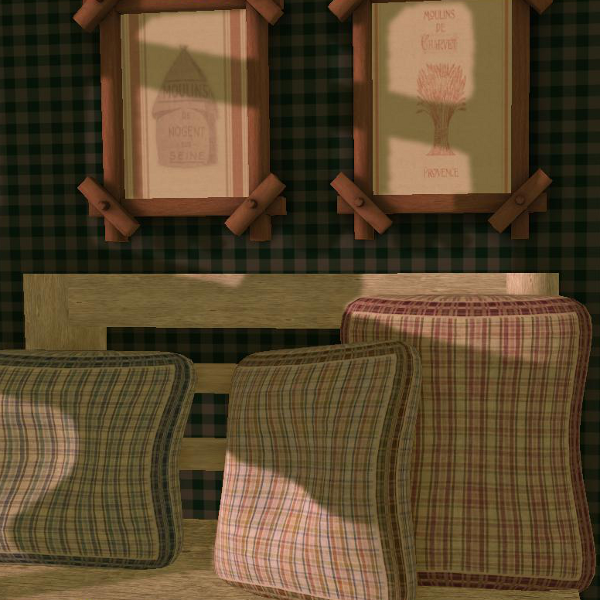 You will enjoy the smooth texturing and LOD2 crafting. 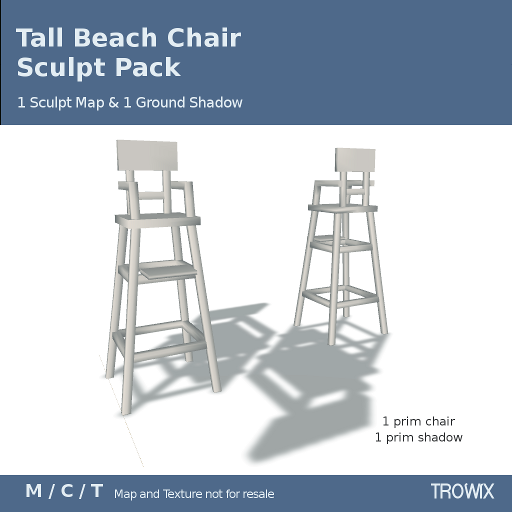 Perfect for lake, beach, under trees…and feeling tall. 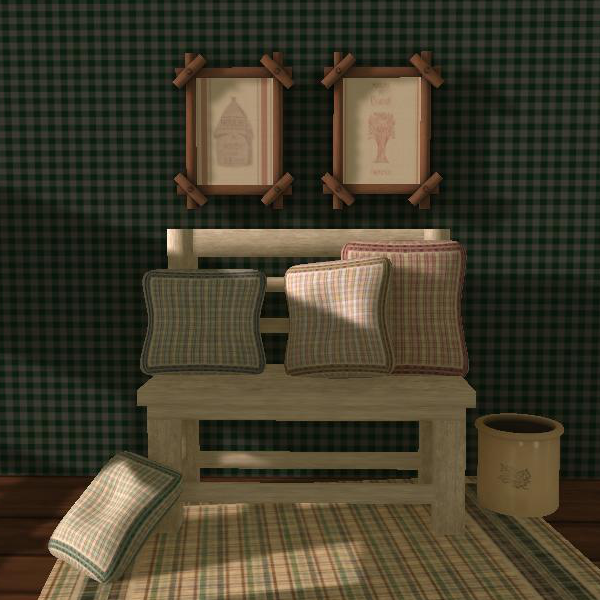 Add cushions, stars, towels, hanging cloths, vines, hearts — at only 1 prim you can! Fresh as an ocean breeze. This way to the beach! We’re right on the way, Trowix Barn. 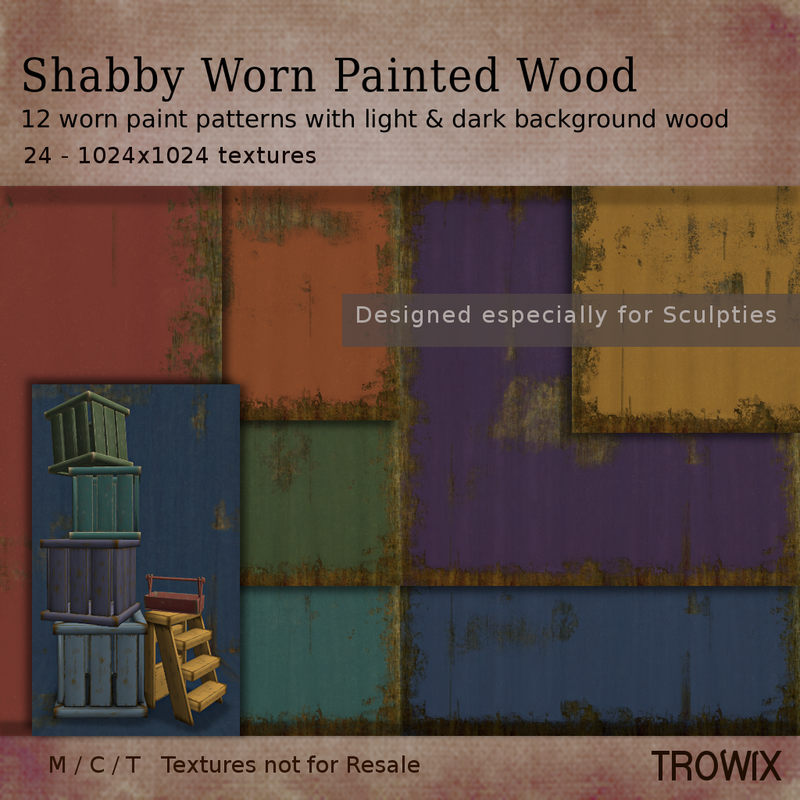 Do it Yourself look with these versatile painted, scuffed and worn wood designed to look especially nice on squared sculpties. 12 unique designs in 12 colors with both light and dark wood backgrounds to give you a sun-weathered look or a more antique look. This texture looks especially nice on sculpties! A country rainbow of colors. 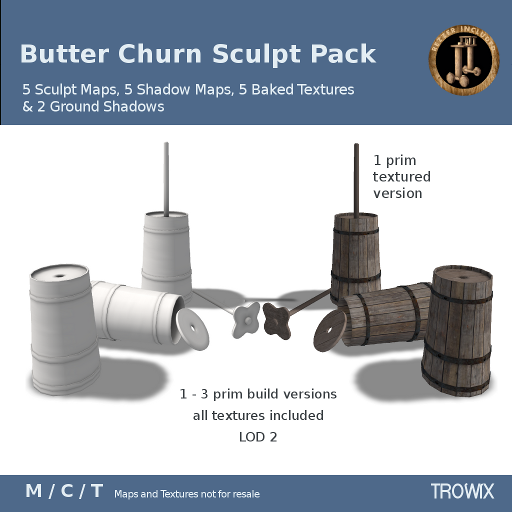 Refresh your sculpties with a new coat of paint at Trowix Barn, we’ll even sand it for you! 3D stacked rainbow sculpts with textures in brights and pastels for Spring showers, St. Pat’s Day or any day that needs a little brightness. 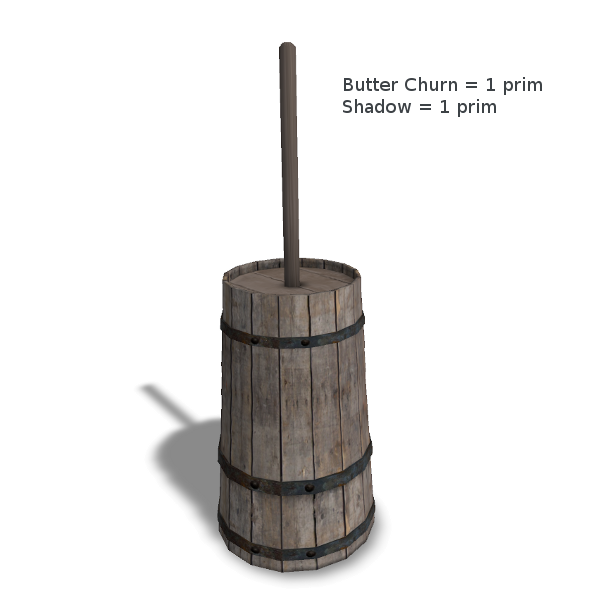 At only one prim and LOD2 you can use lots. Even more with the nano maps for teeny tiny rainbows. …If you get tired of happy rainbows, turn it 90 degrees for a great wall shelf! 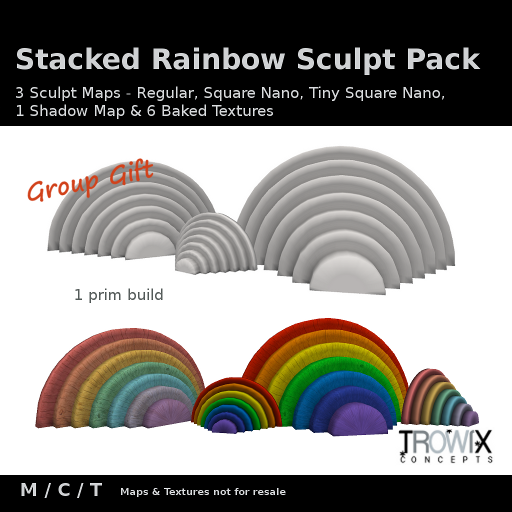 Regular & Nano Maps – Make big and teeny rainbows! 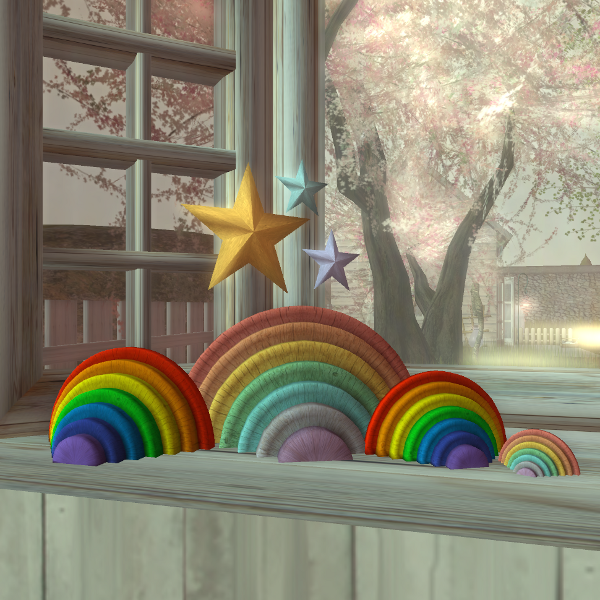 Pretty, bright rainbows for our happy, bright group! You can pick up your gift at the Trowix Barn. 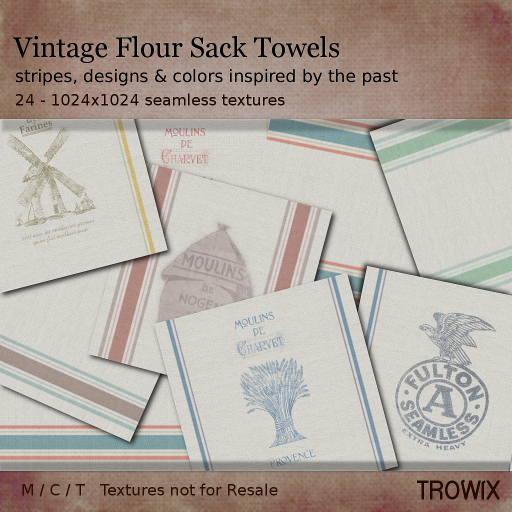 Vintage Flour Sack Towels – More! Vix just couldn’t seem to stop making flour sack towels, she must have a bottomless cedar chest in the attic somewhere. Authentic colored stripes on slightly loose-woven sacking with vintage inspired designs. 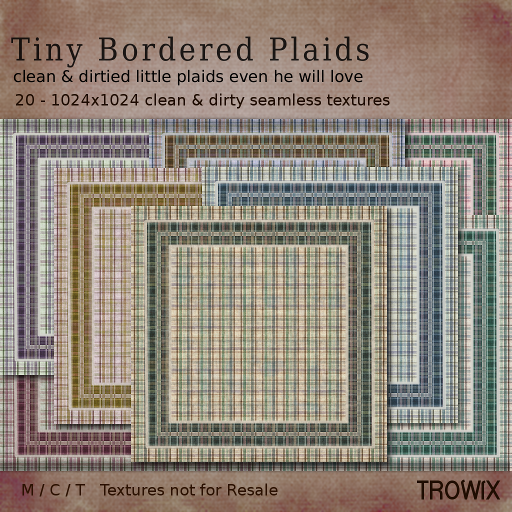 They are slightly faded, washed and pressed — ready for your next project. Designs inspired from around the world. 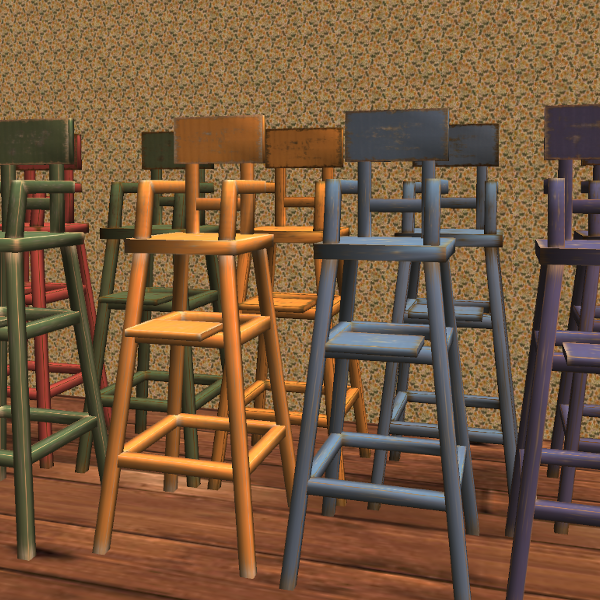 You will find these in the Trowix Barn and on SL’s Marketplace. Sometimes you just can’t make the shape you need for your landscaping with just a square or a circle — that’s why we created these triangle & half-round bases. 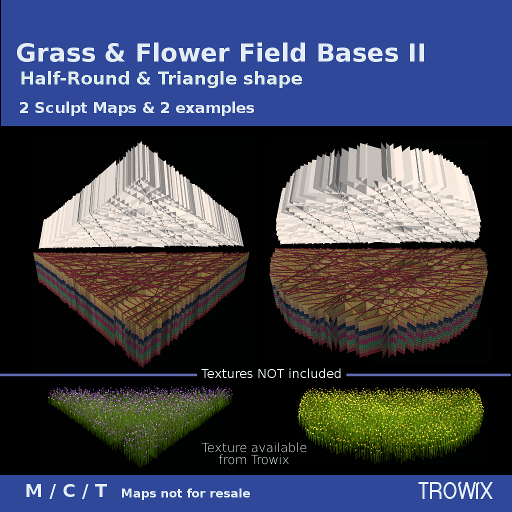 You’ll love creating fields and meadows of flowers and grass with these sculpties, adding so much depth and color to your landscaping designs. Crafted to be as random and natural looking as possible. Please enjoy making your garden grow with Trowix. Perfect for those hard to fit areas and formal gardens. A pretty Spring look using Half-Round, Triangular & Rectangles. Don’t get caught with a flat garden! Come tiptoe through the tulips at the Trowix Barn.